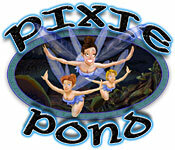 Pixie Pond is rated 1.5 out of 5 by 2. Rated 2 out of 5 by gumybear57 from Mayhem??? So I was entranced by the dev's description of the game and decided to try it. MISTAKE! They claim this game has "huge combos" with "huge scores" and "insane combos" and "more mayhem"!! The "entrancing" experience they promised never came to be! I was also definitely NOT "glued to my seat" until the end of the game! I barely lasted for the entire hour demo! So, trying to get back to my eternal optimist status here....The M3 tiles are really cartoonish and the "magical" objects are cartoon renderings of unicorns, magic books, frogs..stuff like that. 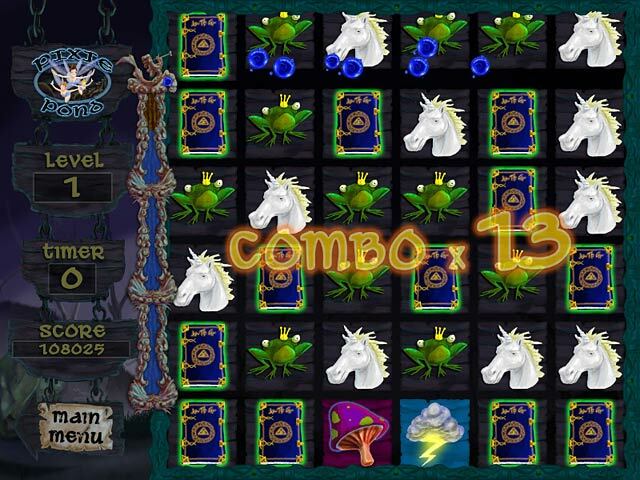 Then, as you try to not only match 3, but move tiles to get as many items in a row as possible, the "magic" vines enshroud the like tiles to lock them into place until the timer expires. 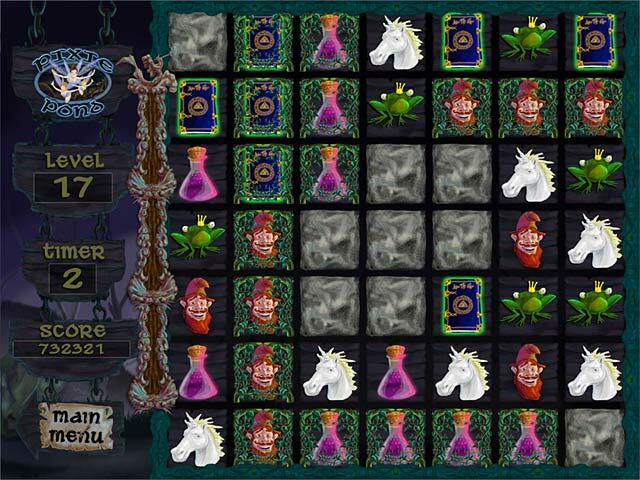 Once the time expires, the level is not over yet, the locked tiles slide off the screen and the usual matches that slide into place pop - but not in a satisfying wonderful explosion-type of pop, just kind of disappear until finally, the screen fills up. It's kind of anemic ...so all the hugeness promised in the game description with all the mayhem was not to be found! And I was really trying! Even with my now diminished optimism....the game had little to amuse me or keep me "glued to my seat"!! I imagine that perhaps a young girl - maybe around 4 to 6 - would like this game because of the magic theme? But it would depend on the child - as all my kids and grandkids were proficient with my computer by age 2 and would find this game boring! As usual, please do try it for yourselves my fishie friends - maybe I was just having an off day....but this would be a definite "NO" for me, even as a daily or weekly deal. 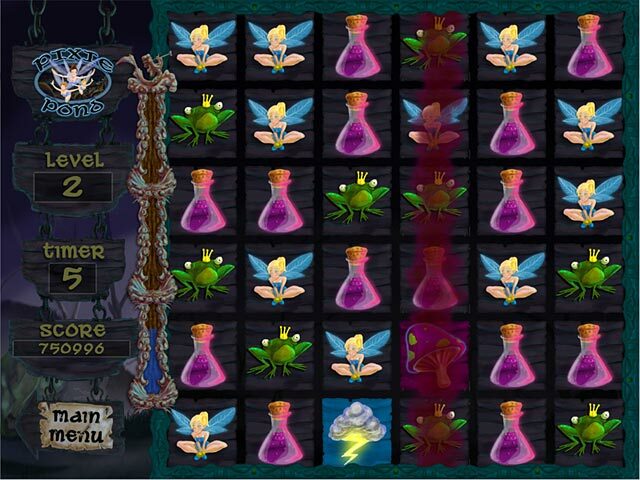 Enter the magical world of Pixie Pond as you race against time to match as many magical objects as you can!